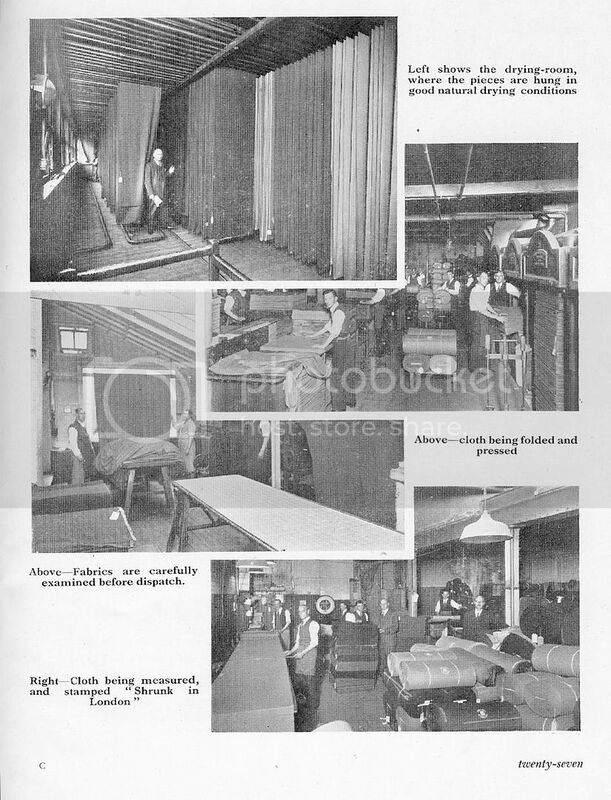 even if the woolens were marked london shrunk, dad and i would sponge before cutting. we did it the wet cloth method. in fact i still have that old sponge cloth. its got that ancient smell. its only 60 years old. 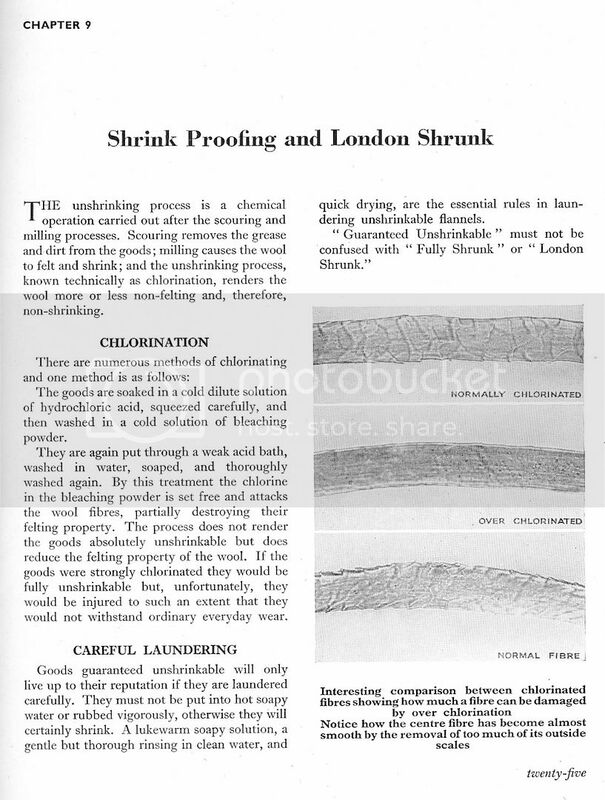 This article on shrinkage deals with woolens, not other cloths such as corduroy cotton, correct? Similar principles apply for other fibre. A TAILOR, can you please describe step by step the sponging process? you will need a length of cotton cloth enough to cover the cloth to be shrunk,plus a yard more. it need not be all in one piece. but it must wide enough to cover the width of the folded cloth plus an inch or two. the woolen is normally folded in half down its length. the sponge cloth is soaked in cold water, and then wrung out solidly by hand. this makes it very wet with water but not dripping. the woolen is laid out first to its full length. the wet cloth is laid on top. starting at one end the two cloths are folded over in unison about six inches. then that is folded over making a double fold. then this is repeated again and again till the whole thing is used up. about one hour is enough time to soak 12-14 oz suitings. tropicals only need about 1/2 hour. its just a matter of judgment lighter cloth less and heavier more time. the moist wool needs two people to shake it out and laid out flat on the cutting table and smooth out any wrinkles by hand. then over night is usually enough time to dry out. dont forget to hang the sponge cloth to dry. 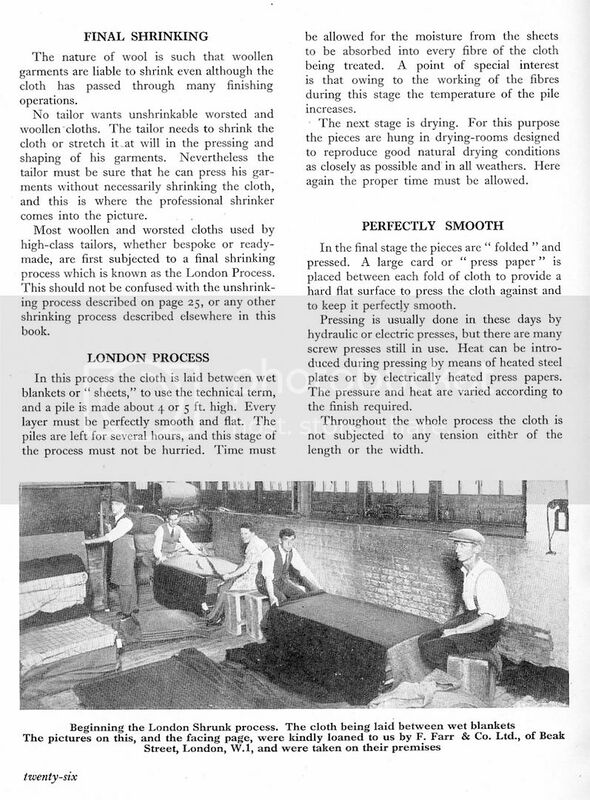 we usually pressed the woolen the next day before cutting. Sponging is suppose to prevent the fabric for further shrinking, am I correct? Any other advantages of sponging? I don't think any tailor in my country (Poland) is doing that. I will try to convince my tailor to sponge cloth for my next suit hence the questions. are you trying to get yourself fired? I'm a difficult customer and I drive tailors nuts, but I don't care. If I buy fabric from Scabal, is it a point to sponge it? The best thing is to try doing it with a sample of the particular cloth range from Scabal and see what the results are. If cloth is shrunk to much then the shoulder area is not shrinkable to fit. The preshrunk cloth of today how much better is it shrunk today than even ten years ago, or at least 20 or 30? If buying from a little indendent mill it then probably varies. Basically, you only sponge if you need to. It's a technical decision of the tailor working your project. Spongeing can re-hydrate goods that have sat on a shelf for a while. And, it used to be necessary due to the weaving technology of the era. But, if you're buying Scabal cloth, it's highly unlikely that it will require spongeing. Asking your tailor his opinion about something, like the relevance of sponging the cloth you choose, is quite all right. It shows you care, and that you value his knowledge and experience. Telling him what to do is presomptuous and a bit rude, as it implies you think you know his job better than himself. I simply wanted to ask the tailor to consider sponging if I was convinced myself that doing this is necesarry. As for beeing rude- if one is working with a skilled and devoted tailor it is the best to trust him, but not all tailors are like that. I think it is good for the customer to know as much as possible about proportions, fit, and technique not to allow short cuts. I don't think that sponging is neccessary for today's fabric. Best is always to cut out the coat parts roughly enough, then iron those parts very hot with heavy iron and dump cloth. Then you rearrange the pattern on those shrunk parts and chalk them nicely. When you sew the parts together and iron out the seams, then you redraft or equalize lengths, is called in German "Auszeichnen".